Next Stop.....the World! : Sunday Morning Yumminess! 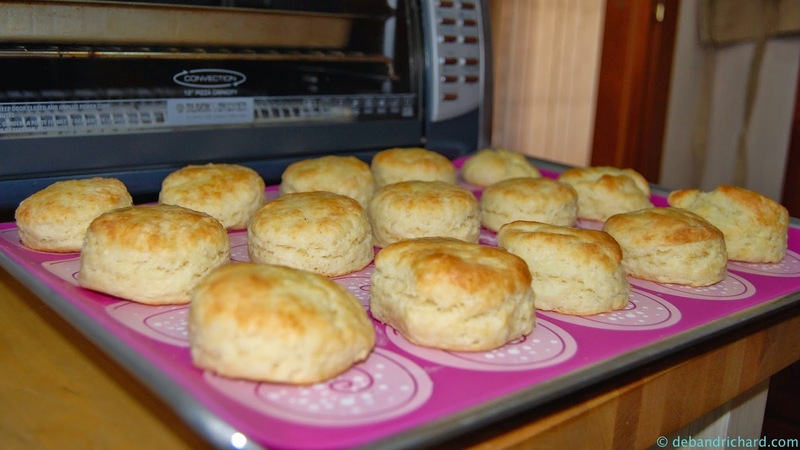 So back when we lived in SC, you could buy frozen biscuits that you baked in the oven....I made these all the time but when we got up to DC.....nary a frozen biscuit could be found. So I took a bread making class at Arlington County Adult Education center and in addition to 7 other yummy bread creations, I learned how to make buttermilk biscuits. Our instructor Ed was great. We met 2 nights and each night made 4 recipes, sampled each and brought home a little goody bag to continue savoring (or share...which I was nice and shared with Richard!) 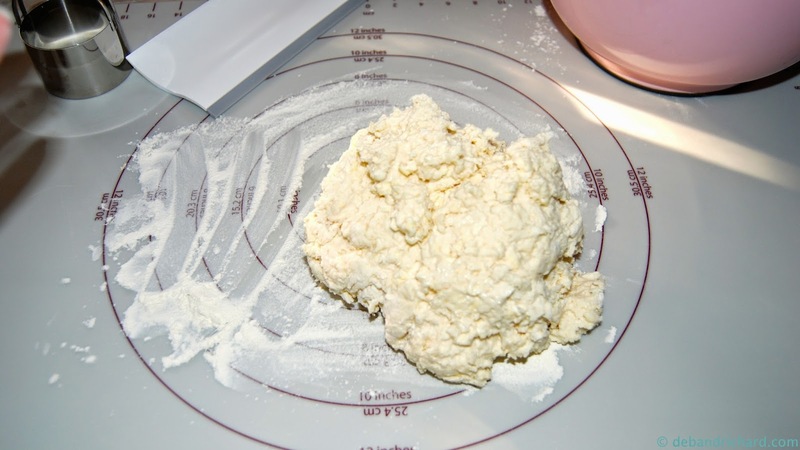 So here's what you need to make buttermilk biscuits (with a few tweaks I've made since class). So, since here in Georgia I haven't been able to find actual buttermilk, I start by making the buttermilk. 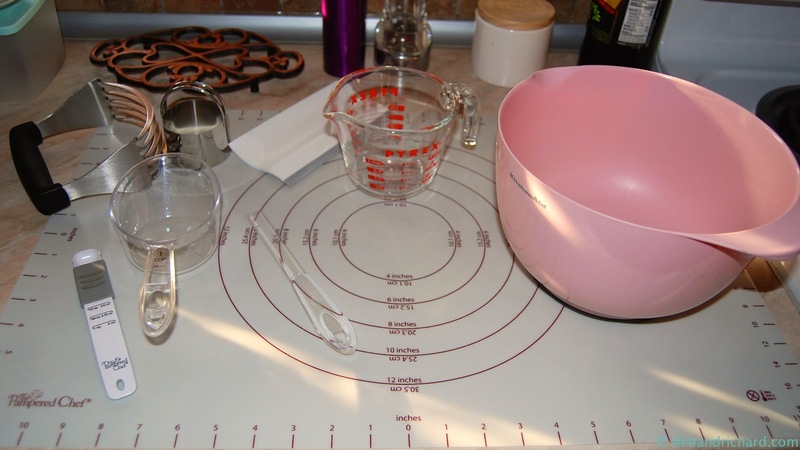 I measure 1 Tbsp of vinegar and pour it in my measuring cup. 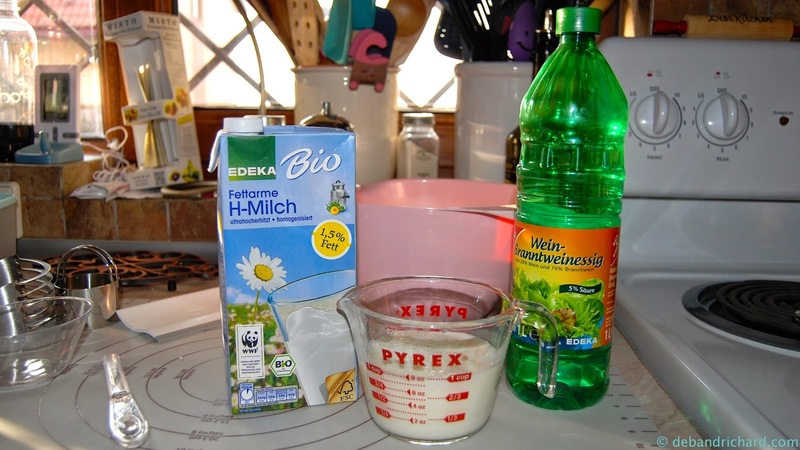 I then add milk up to the 1 cup line and let it sit at least 5 minutes while I do the rest of the biscuit prep. 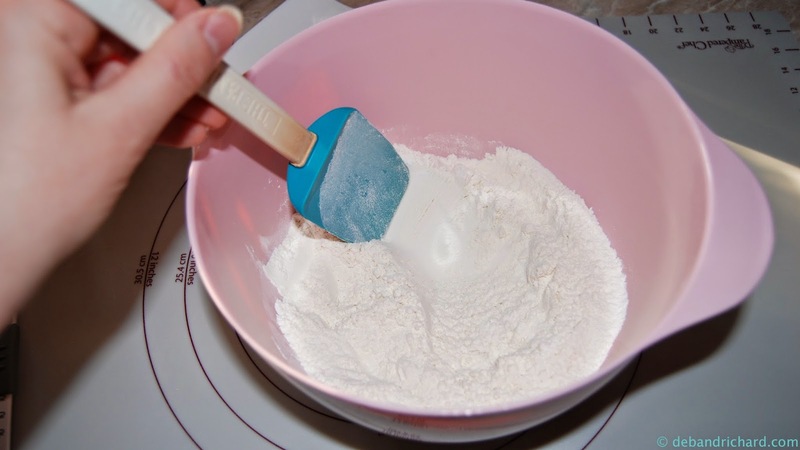 While the buttermilk is brewing, I put the flour, baking powder, baking soda and salt in a large bowl and stir to combine. When I buy my 400g bricks of butter from the store, I go ahead and precut it into 85g chunks. I then throw these chunks into the freezer. When making these biscuits you don't want the butter melting until the biscuits are baking in the oven, so you want the butter cold during prep. 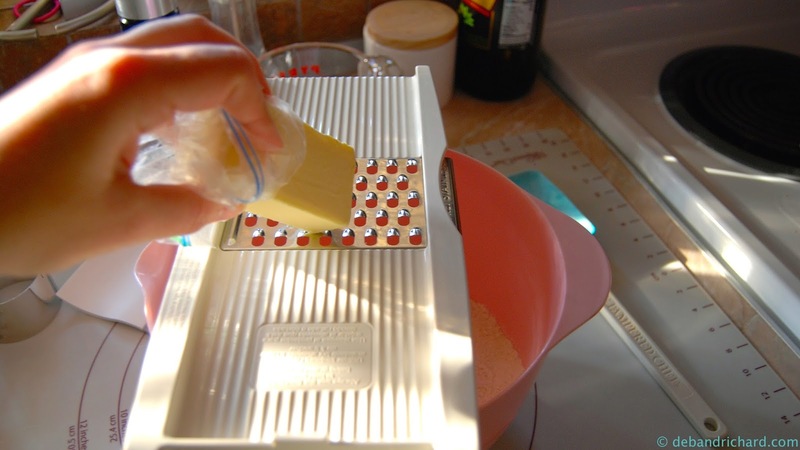 I use a grater to add the frozen butter to the flour mixture. When I get down to just a little bit of butter that I can't grate without adding some flesh to the biscuits I put it aside and save it for later. 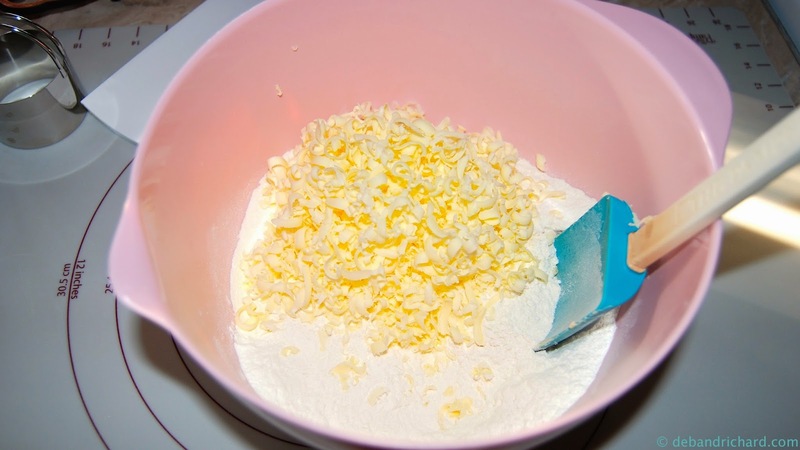 Then you mix the grated butter with the flour. You want it throughly mixed (you want little bits in every bite). You can use a pastry cutter to mix it well, but last time I made them I forgot that step and it turned out fine (if you don't grate the butter you will need the pastry cutter). Next stir in the buttermilk. 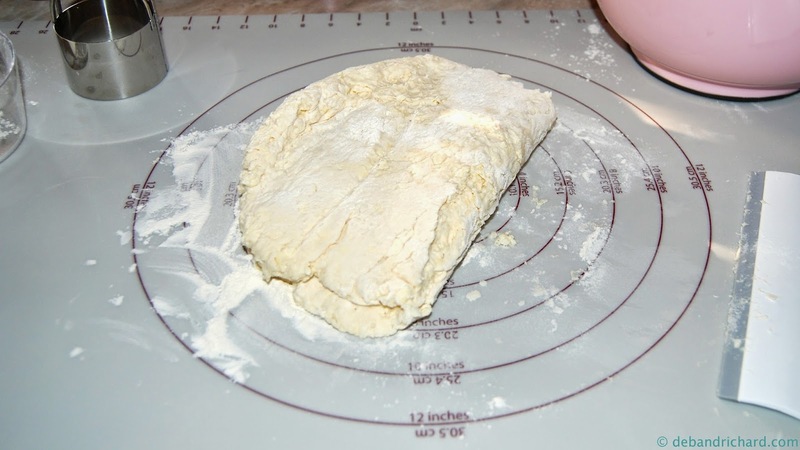 After mixing put the dough on a floured surface. You must be gentle with southern food (no kneading allowed)......pat the dough out into an ~1 inch thick rectangle. If the dough is super sticky sprinkle with some more flour. 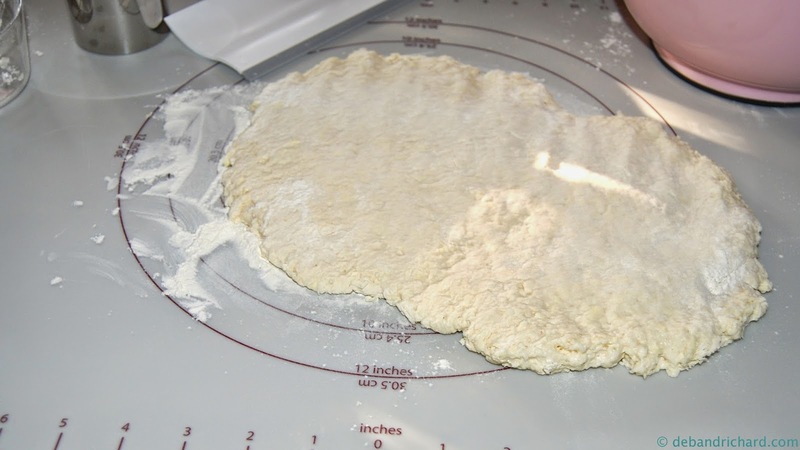 Then fold the dough in half and then pat out again (sprinkling more flour if needed). Repeat the fold and pat out one more time (this is what gives the biscuit its layers of yumminess). Next use a biscuit cutter (or a glass) to cut out biscuits. 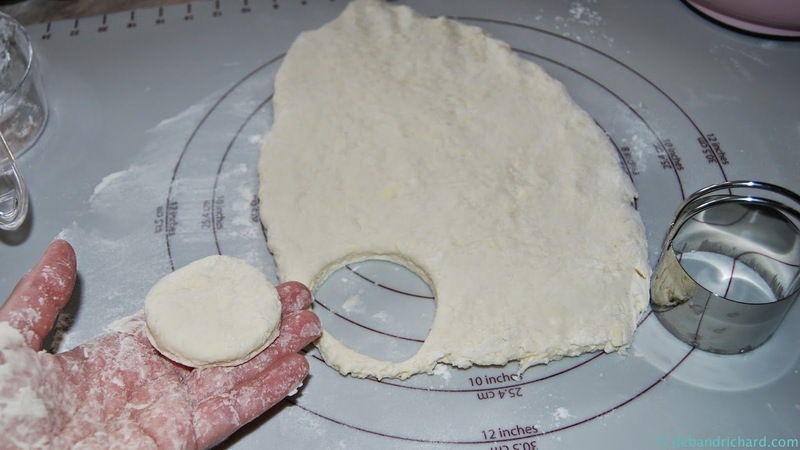 You don't want to twist the cutter or it will making it harder for the biscuits to rise in the oven. When you are left with dough scraps, pat them back together and make another rectangle and cut some more out. 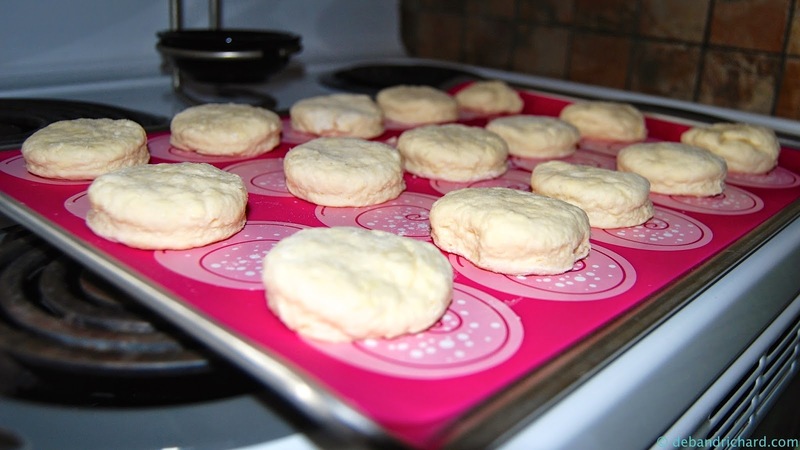 Place the biscuits on a baking sheet. I've found a silicon pad (or parchment paper) makes them real easy to remove the biscuits when done. Never thought of grating frozen mini butter blocks - grate idea (get it?!! - ba-da-dum) I am thinking egg, cheese and bacon in the middle! Might have to make these tomorrow...yum! Hope yours turn our delicious too!